Sunday, 27 March 2017 – At 142.6 kilometres, the women's edition of Gent-Wevelgem travels from Yper to Wevelgem. 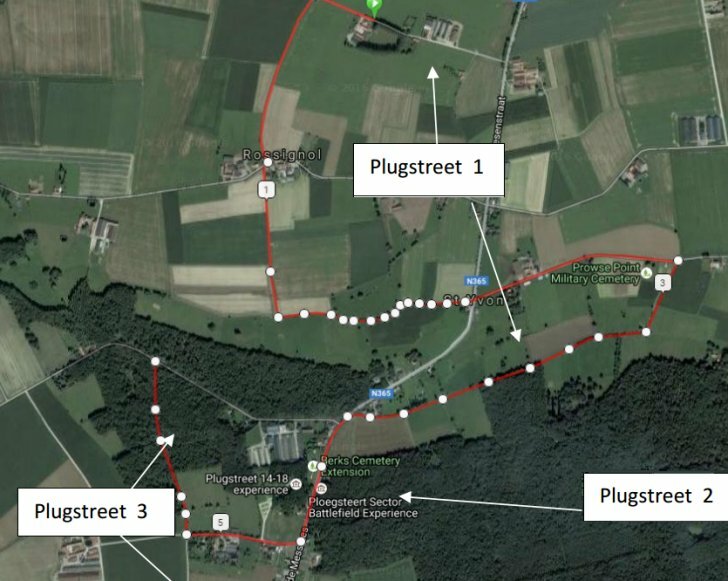 The route takes in six short and sharp Flemish hills and three sections of dirt road, while the last 34 kilometres are played out on the flat. Following the start in historic Yper the route runs a lap to the north-west before Baneberg appears at kilometre 52. The section at the Lijstermolendreef is merely 300 metres, yet is averaging 17%. The route then continues to Kemmelberg, a 3 kilometres climb at 4% with its steepest sector at 17%. Another 4 kilometres further the riders climb Monteberg – 1.3 kilometres with an average gradient of 7.1%. The three climbs are crested within 11 kilometres and now the route travels on the flat to the so-called ‘plugstreets’. These tree sections of dirt road, with a total of 5.2 kilometres, follow in rapid succession. The first two sectors are slightly uphill and the last one runs through a forest. After the plugstreet there are 54 kilometres left to race. With almost 100 kilometres done the three earlier climbs return, also in the same order. So firstly Baneberg and then the Kemmelberg/Monteberg combo. At the top of Monteberg the riders face 34 flat kilometres on wide and open roads. The women’s edition of Gent-Wevelgem has been raced six times before. Lotta Lepistö is title holder. Last year, the Finish rider won the group sprint ahead of Jolien D’Hoore and Coryn Rivera. With this victory Lepistö stepped in the shoes of Chantal Blaak (2016), Floortje Mackaij (2015), Lauren Hall (2014) and Kirsten Wild (2013), while Elizabeth Armitstead (now Deignan) pocketed the inaugural edition in 2012. Read also: results/race report 2018 women’s Gent-Wevelgem.